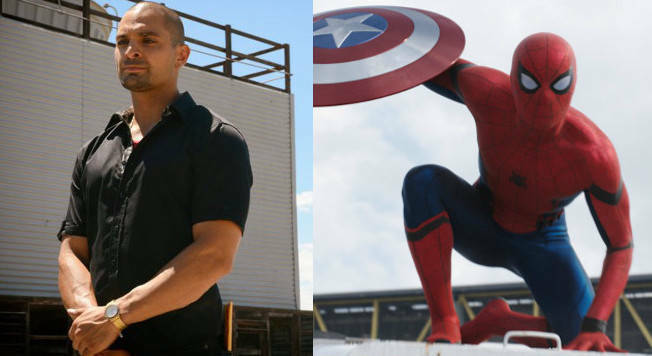 In an exclusive by The Hollywood Reporter, actor Michael Mando has reportedly joined the cast of Spider-Man: Homecoming. Hailing from Canada, the actor is best known for his role of Nacho on AMC's award-winning show Saul. As for BBC America fans, viewers may recognize Mando from his work on their original series, Orphan Black, as he played an abusive drug-dealer named Vic. And video gamers might find the actor's voice familiar given the actor provided his voice talent to Far Cry 3 to play Vaas Montenegro, one of the game's lead antagonists. Though the actor studied International Relations at the University of Montreal, Mando has found his home in acting as he's starred in multiple film and theatre projects. On-stage, he is known for his work on pieces like Shakespeare's As You Like It and Tennessee William's Orpheus Descending. While there are no details regarding Mando's possible role in Spider-Man: Homecoming, the actor is joining a long list of talent who've already signed onto the film. Just this week alone, Marvel and Sony have unveiled numerous casting announcements as the film begins production. Currently, the film will star Tom Holland as Peter Parker/Spider-Man following his cameo in Captain America: Civil War. Marisa Tomei will reprise her role as Aunt May from the film as well while others such as Donald Glover, Abraham Attah, Martin Starr, Zendaya, Michael Keaton, and Tony Revolori are starring amongst others. Slated for release on July 7th 2017, Spider-Man: Homecoming started shooting earlier this week in Atlanta, GA.